With all of the talk about Aladdin and The Lion King, we had almost forgotten that Disney was also working on a live-action Pinocchio—but at this point it should be safe to assume that Disney is working on a live-action version of every animated film it ever released, which means Hercules should be on the way at some point. 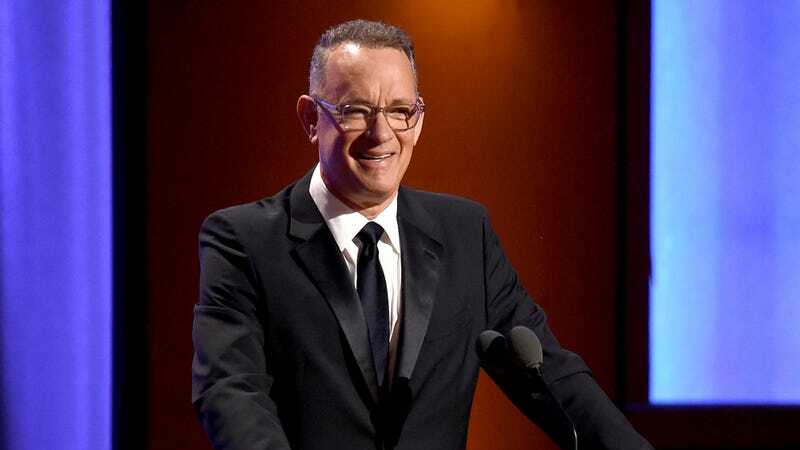 We won’t forget about Pinocchio anymore, though, because Variety is reporting that certified famous person Tom Hanks is in talks to join the film as Geppetto, the old Italian puppeteer who built a wooden liar to be the son he always wanted. That’s a relatively small role for Hanks, especially since the puppet itself will definitely be CG, so we’d be willing to put some money on this being one of those Cloud Atlas-style movies where Tom Hanks plays every character. Sam Mendes was in talks to direct Pinocchio last year, but Paddington director Paul King will now be the one pulling the proverbial strings. Also, this is unrelated to Guillermo del Toro’s Pinocchio project, which we said last month was really going to happen even though we still don’t believe it. "How Munched Is That Birdie In The Window? "/"Another Bad Thanksgiving"/"There Will Be Bad Blood"